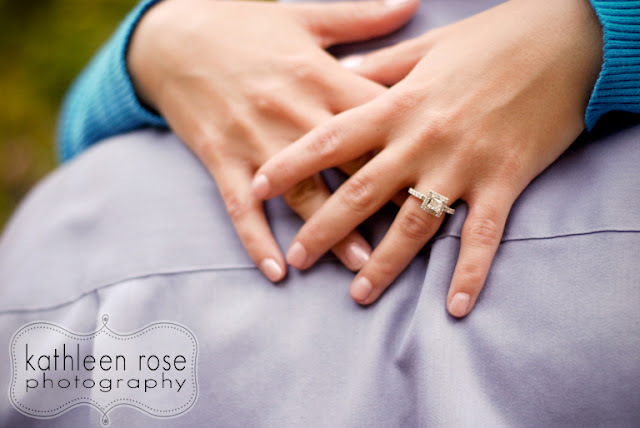 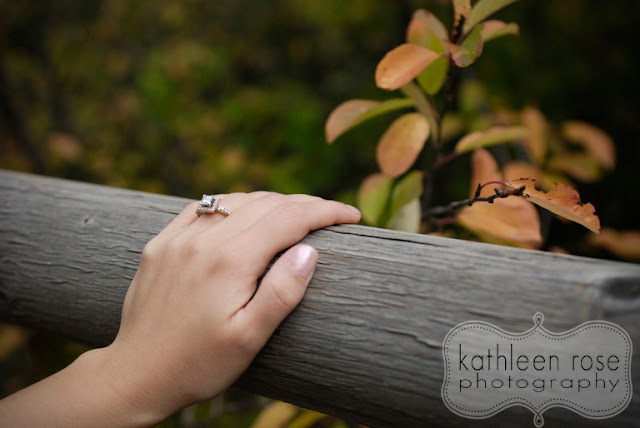 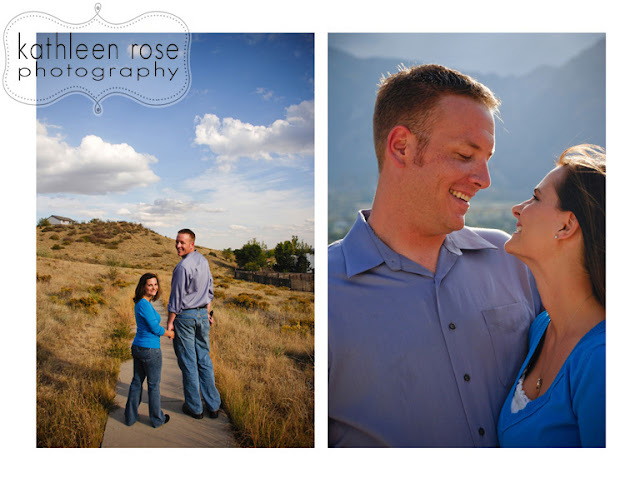 Kathleen Rose Photography Blog: Denver Engagement Photography | Jessi + Kyle! 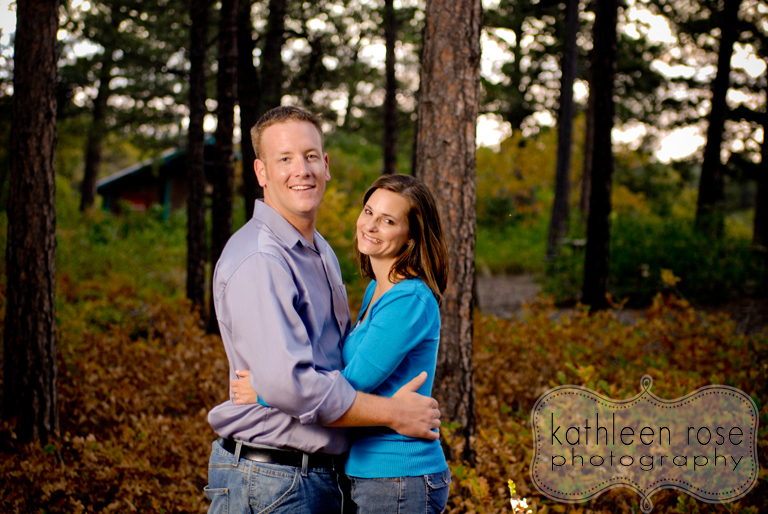 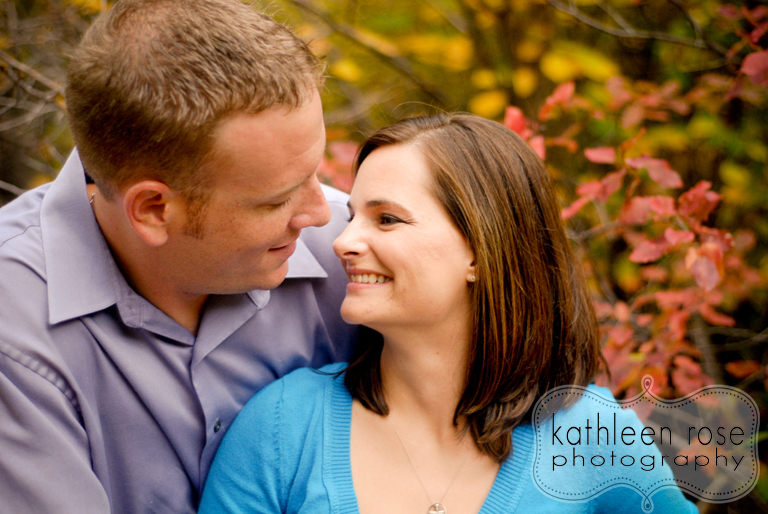 I love Colorado in the fall - it really makes the best backdrop for portraits! 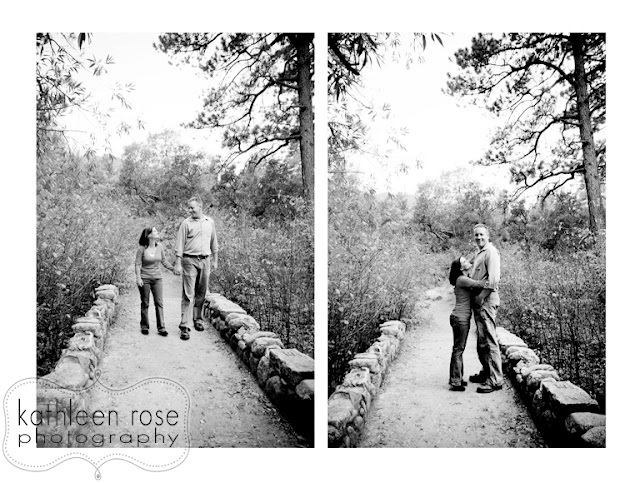 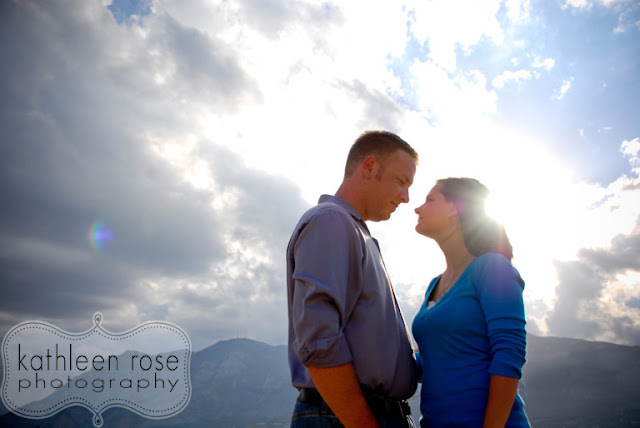 This is Jessie and Kyle- I met up with them last week for their engagement session in Colorado Springs. 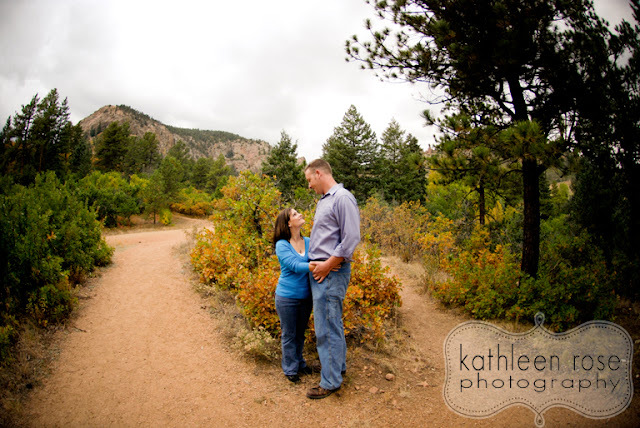 Cheyenne Mountain is almost right out their front door so we started with that great view and then headed out to "hike" around the canyon where Kyle proposed. 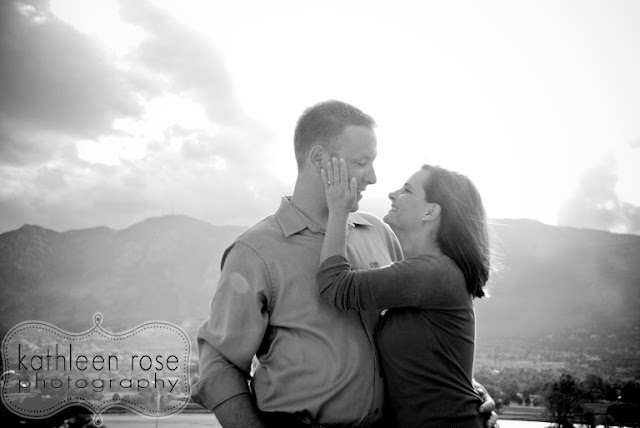 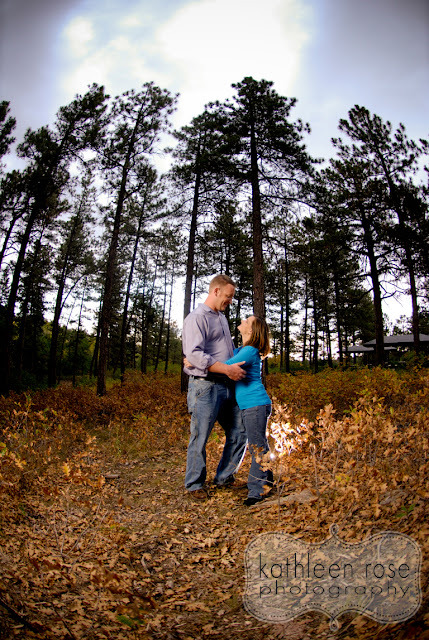 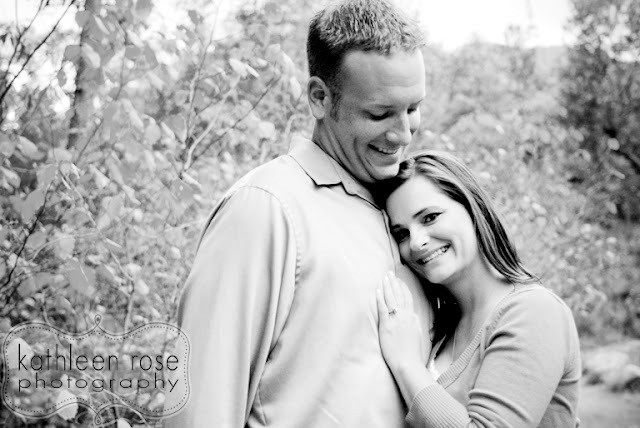 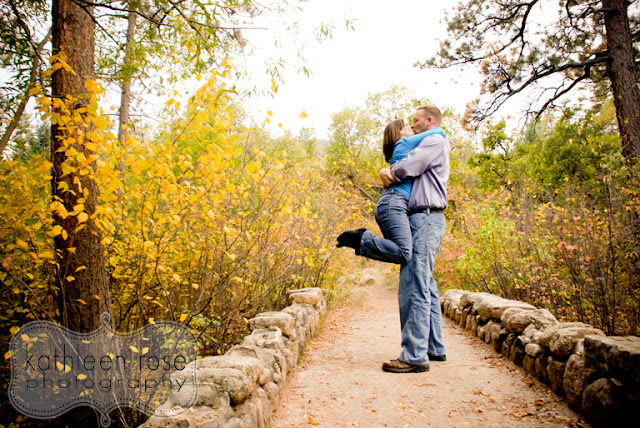 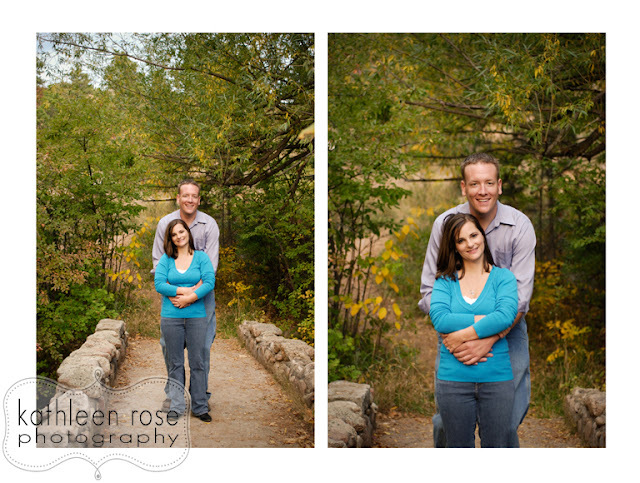 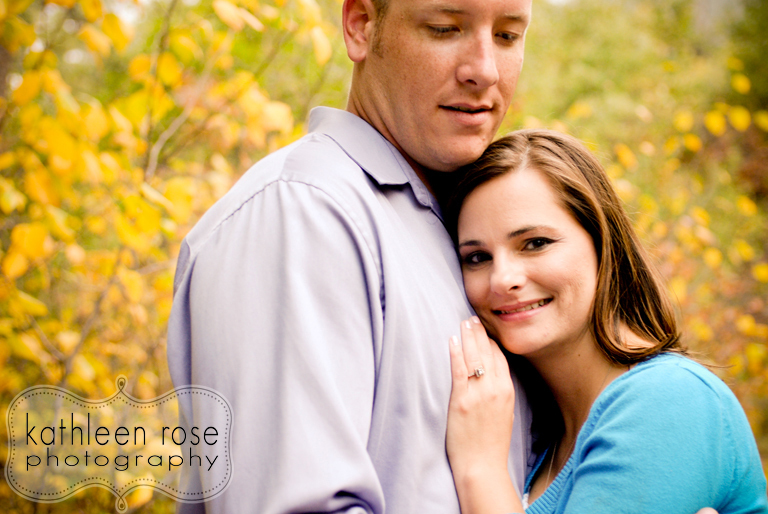 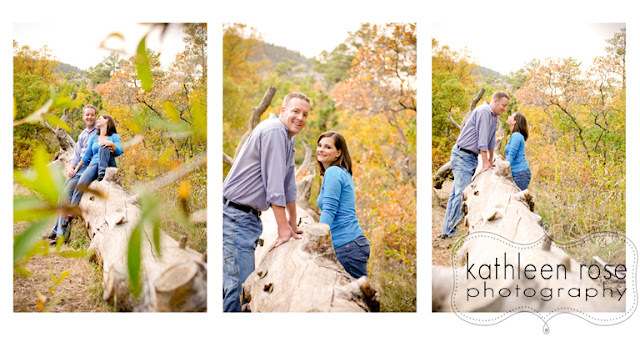 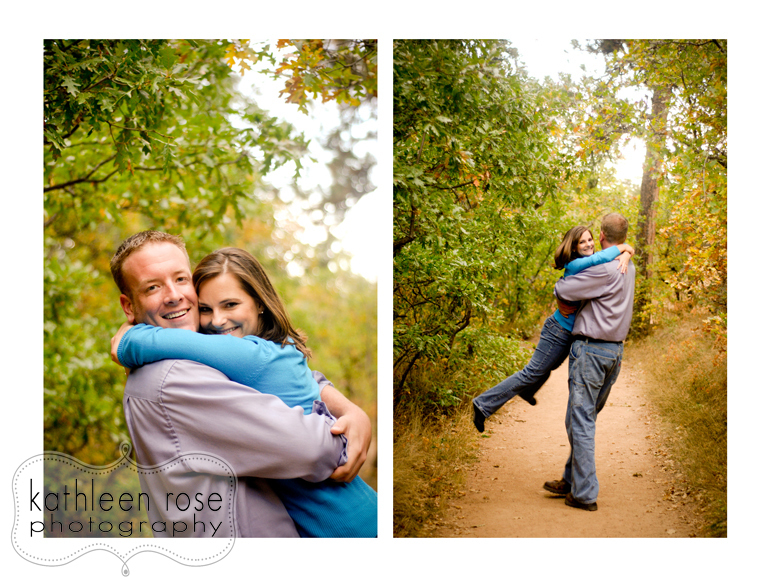 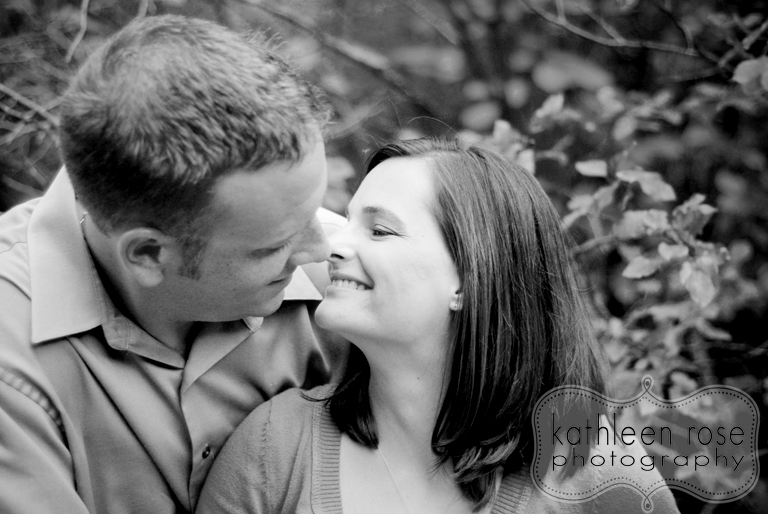 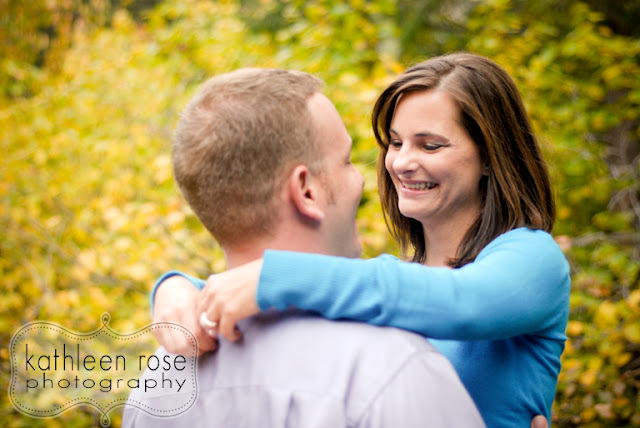 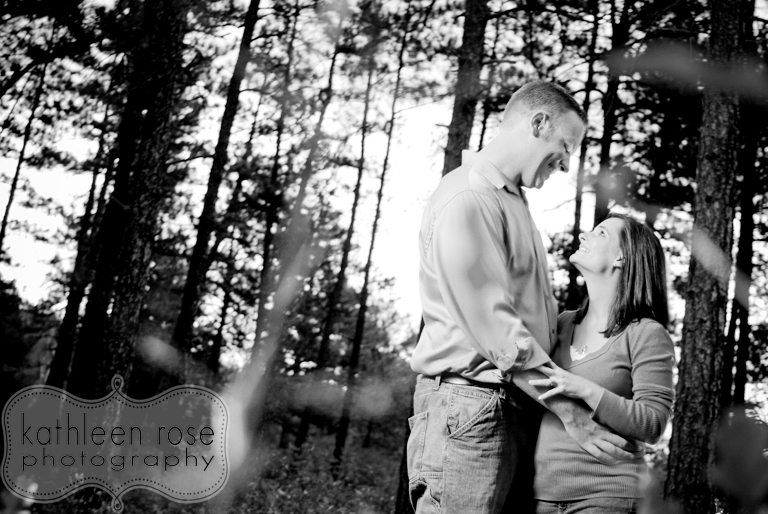 They are an adorable couple, and I can’t wait until their wedding next July at the Cheyenne Mountain Zoo. 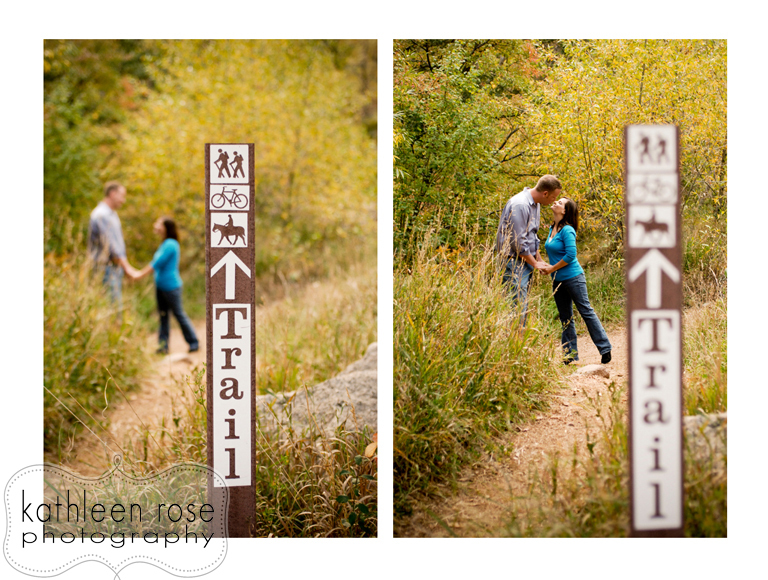 If it’s anything like our portrait shoot, the wedding should be a lot of fun! 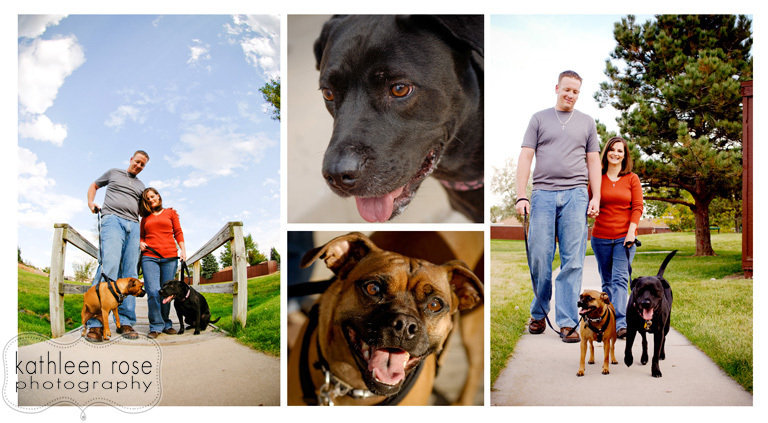 We just had to get some shots with their adorable dogs who were a bit camera shy but pulled it together for a few shots! 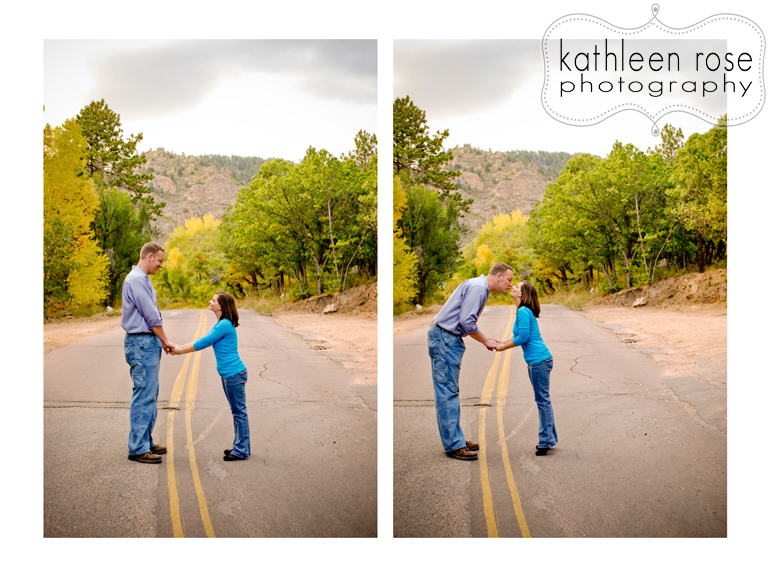 I think there is a metaphor here about roads taken or crossed - but I just really liked the light! And their height difference makes for a really cute kiss!